The Stainless Steel General shaves the same as the Al head - smooth, efficient and comfortable. Noxzema Shave Cream, wonderful post-shave feel and skin care. Typical (for me) two-pass shave, except today with several days of vacation growth. *Just started on the pack of Super-Max blades, and this is a new blade to me, one of the last brands from a sample package. It's ok+. -- My scale is simple and not very descriptive: Ok, Pretty Good, and Great. So far I haven't used a blade that isn't at least ok (to me). ** I've learned I like smaller brushes and this WCS brush is a little on the larger size to me. But it is still a great brush, and it is so pretty to my eye. Almost a repeat of yesterday, except today used a Simpson Chubby brush (Chubby 1, Super Badger). I was going to use the WCS brush again, but then when thinking I would be posting about it here, I had to change it up a little. Today was actually the third shave on the Super-Max. Still ok. Same feel as the first shave with it. I think it is a decent blade. Nothing spectacularly negative or positive to me. I don't think I will buy more, however. 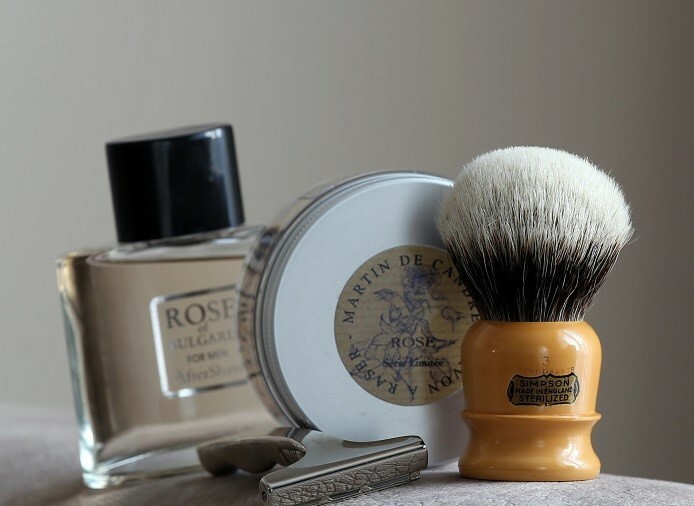 Today I started an 8-day comparison trial of original Acqua di Parma Colonia soap and the more modern Acqua di Parma soap, during which I will alternate between them each day, using the same scuttle, brush, and razor with each. 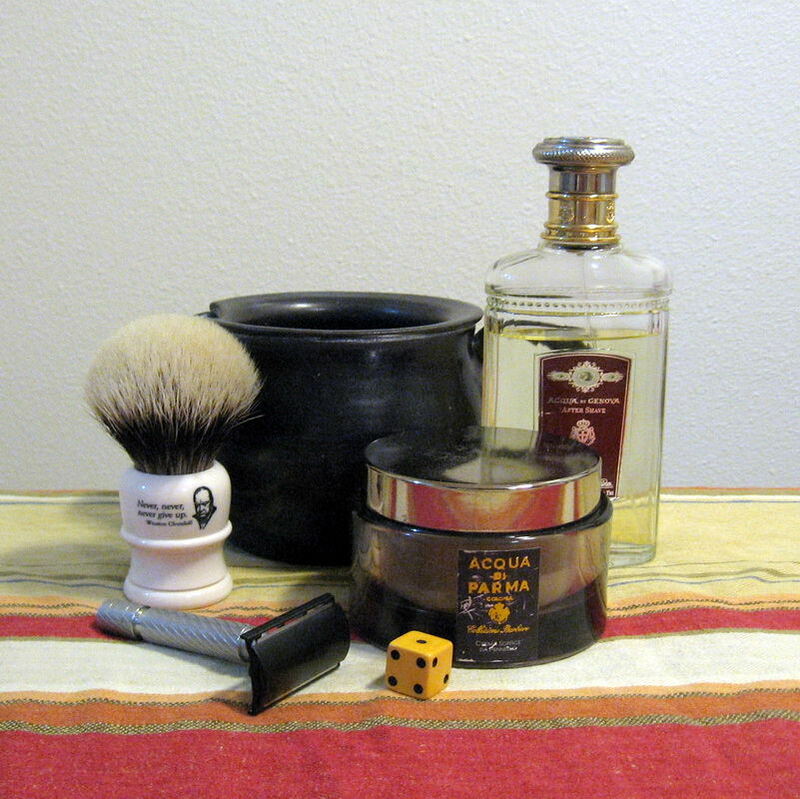 Today I used the original version (with the gold lid), which gave me a wonderful BBS shave, as always. The lather required moderate effort to produce rich, fragrant lather with excellent body and lubrication. I used aftershave, but it was obvious that the soap's skin care was quite good.